the #chpseniorrepteam from the class of 2020 has been chosen! we’ll begin the application process for members of the class of 2021 in january, 2020. this program is open to reps from all metro east area schools, not just to those from carlinville! if you haven’t already, please follow along on instagram @carrieharrisphotovip or Facebook @carrieharrisphoto for more information on what it's like to be a chp senior rep! THANK YOU FOR your interest, i hope to hear from you soon! THANK YOU so much for inquiring about the Carrie Harris Photography Senior Spokesperson Program. It is my hope that this program will be an opportunity for you to have some fun, feel great about yourself AND earn some free portraits all while helping to promote my senior portrait program to your fellow Class of 2020 classmates. Want to know the details?? Read on! You'll fill out the form below and submit it to me. I'll review all submissions and will get back to you quickly to let you know if you'll be the perfect fit for our team. If selected, we'll get together for a fun, themed portrait session in March with you as well as your fellow Class of 2020 Senior Spokesperson selectees. This session with include individual portraits inside my studio as well as group portraits that will be taken outdoors...let's hope for some warm weather! The next part following our session will be up to me, choosing the best of the best portraits and adding my little touch ups here and there and once that's complete, WE start SHARING these photos! Share them on Facebook, on Twitter, on Instagram. Order a large print and share it by standing on a sidewalk if that's your thing! I mean, it's probably not, but if it is...that's fine, I don't judge. What do you get for being a Carrie Harris Photography Senior Spokesperson? Well, a lot of that is up to you and I'll share that with you soon. BUT, at the very least, you'll receive SO many more photos than the average senior. 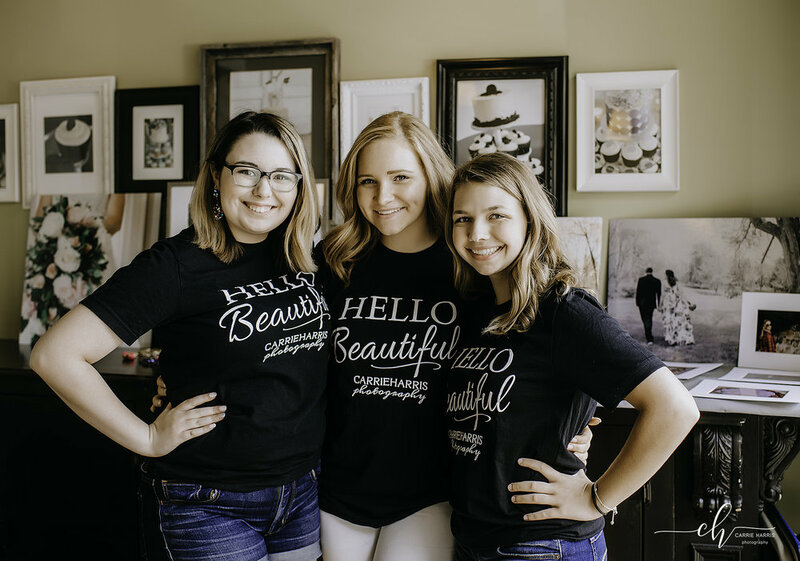 If you work a little harder, you’ll have the opportunity to earn a little extra spending money by referring friends and classmates to Carrie Harris Photography for their senior portrait session. Finally, one quick request...I do ask that my Senior Spokespeople don't schedule any other senior sessions with other photographers. This includes acting as a senior rep for other photography studios. It makes the program run more smoothly if we're working together exclusively as a team! For now, though, here's the form I'll need you to fill out. I do ask that you clear it with your parent/guardian before you submit the form...that way we're all on the same page. I'll be sure to check in with them before announcing my selectees just to ensure that they are aware of what being a Carrie Harris Photography Senior Spokesperson involves. So, does this sound like fun?? I hope it does! Fill out the application below and submit it to me, I look forward to hearing from you! Tell me a little bit about any activities or extra curriculars with which you're involved. It doesn't have to be through the school...just let me know what interests YOU! Finally, just tell me a little bit about YOU! This is your chance to brag on yourself and let me know how incredible you really are. Be as detailed or as brief as you'd like...this is supposed to be fun!